On March 18, 2019, campus leaders of the PALSave: PALNI Affordable Learning program attended a workshop facilitated by the Open Textbook Network (OTN) to learn how to roll out this open educational resource (OER) program on their campus. Attendees from eight of PALNI’s supported institutions were trained to encourage the faculty adoption of open educational resources (OER) in the classroom, and in doing so maximize student success. This was the second and final train-the-trainer workshop led by OTN. In the future, PALNI’s PALSave System Leaders and campus ambassadors will continue the outreach and training at locally-hosted PALSave workshops. Though still in the early stages, the PALSave program is proving successful with over a third of the PALNI institutions hosting workshops. Faculty have written thirty-four open textbook reviews and several have indicated their choice to adopt OERs in the classroom. Librarians nationwide pack the Charleston Conference presentation room so that no seat is left empty and eager attendees fill the side aisles to hear the rest of the presentation, “Cultivating agency through emerging community-owned solutions.” Set up as a presentation followed by a panel discussion facilitated by Jason Price from SCELC, co-presenters PALCI Executive Director Jill Morris, PALNI Executive Director Kirsten Leonard, and Index Data LLC CEO Sebastian Hammer shared their community-owned solutions and why the library world needs to cultivate agency. The session panelists assert that: “Despite the increasing need for efficiency and widespread availability of technology, there seems to be less choice in the library marketplace, and libraries are finding themselves with much less leverage to secure the options they need. Do we buy it from a vendor with increasingly limited choices, build it ourselves, or something in-between?” The topic hit a chord with many attendees who filled the room to hear what PALNI, PALCI, and Index Data LLC have done to grow this “community-owned” movement in their organization and the widespread impact. The attendees were encouraged to not only be aware of these community-owned projects but to take action by transforming the way they work within their own sphere of influence. Rather than working in isolation and duplicating efforts, the presenters urged them to help develop business model analysis and product sustainability skills, efficient communication across libraries, structures/framework to support deep collaboration, and partner with departments and other organizations outside the library with similar needs. Challenges in higher education not only tighten already strapped library budgets but also the time available to fully understand and reflect on the development needs of systems and tools. These initiatives are work-intensive, but by working together at scale, libraries can regain the driver-seat in developing the tools to meet user needs while controlling costs and decision-making. The speakers have been invited to contribute an article on the session for the Charleston Voices series to expand on the discussion. Boston, MA, January 23, 2019 – Academic and research libraries have long collaborated to preserve and protect the print scholarly record. The newly formed Partnership for Shared Book Collections (https://eastlibraries.org/partnership-shared-book-collections) takes this work to the next level by coordinating collaboration for the protection of print books. Preservation and storage facilities such as the Research Collections and Preservation Service (ReCAP), large scale digitization and preservation initiatives such as HathiTrust, and programs such as the Eastern Academic Scholars’ Trust (EAST) have all focused on long-term retention of books while ensuring they are accessible for scholars, faculty and students. More recently, collaborations among consortial shared print programs are being formed, such as the Rosemont Shared Print Alliance which is focused on archiving print serials and journals. The Partnership for Shared Book Collections complements the Rosemont initiative with a focus on the print book. 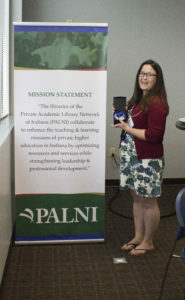 Like many consortia, institutional members of the Private Academic Library Network of Indiana (PALNI) provide multiple fulfillment options to obtain requested items for their users. Users can place on shelf holds on items, or they can request material that isn’t held by their institution through a group circulation resource sharing network (dubbed PALShare) or through traditional InterLibrary Loan (ILL) (through WorldShare ILL or ILLiad). All of these options can be confusing to users who may not understand the best or fastest way to get access to needed materials. A PHP application, OneButton, was developed that replaces multiple fulfillment buttons in institutional discovery interfaces with a single OpenURL link. OneButton looks up holdings and availability at a user’s home institution and across the consortium and routes the user to the optimal fulfillment option for them. If an item is held by and available at their institution, the user can be shown a stack map to help guide them to the item on the shelf; if an item is held by and available at the consortium, the user is routed to a group circulation request form; otherwise, the user is routed to an ILL request form. All routing and processing are handled by the OneButton application – the user doesn’t need to think about what the ‘best’ fulfillment option is. This article will discuss the experiences of one institution using OneButton in production since fall 2017, analytics data gathered, and how other institutions can adopt the application (freely available on GitHub: https://github.com/PALNI/onebutton). The Private Academic Library Network of Indiana, Inc. (PALNI) is developing collaborative instances of two open-source institutional repository platforms, Islandora and Hyku, via partnerships with the Washington Research Library Consortium (WRLC) and the Pennsylvania Academic Library Consortium, Inc. (PALCI). The work will include analyzing and improving the functionality and capacity of the software to support collaboration. To benefit the wider community, all developments from the partnerships will be openly available for adaptation. Institutional Repositories (IRs) perform a valuable function by creating open access to campus scholarship, and by doing so demonstrating library value and the value of the institution as a whole, however only fifteen percent of PALNI’s supported institutions currently have an IR system. Sixty-five percent of PALNI members indicated a desire to participate in a collaborative repository, highlighting a strong need for this service. These two IR softwares each have unique strengths, allowing PALNI to test different aspects of consortial partnership and service provision. Hyku and Islandora repository platforms have different foci, communities, and opportunities. Islandora is a mature product and PALNI will benefit from WRLC’s knowledge and optimization. 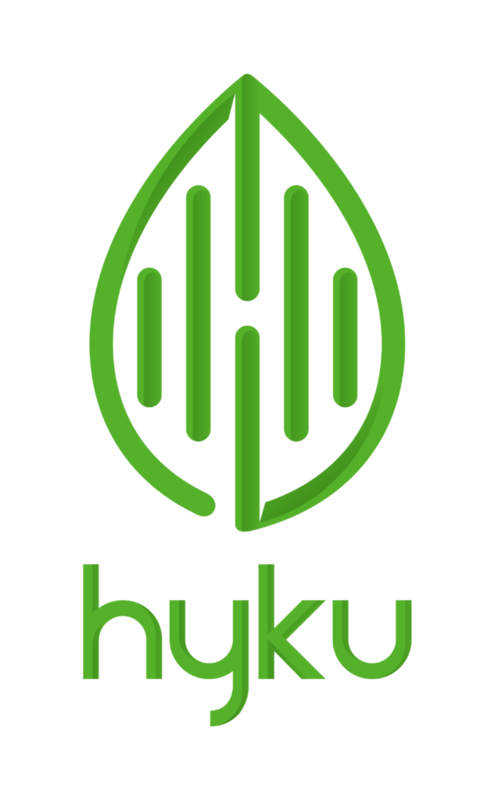 Hyku is a native multi-tenancy architecture. With additional development the software will support multiple consortia and collaborative workflows. By exploring both platforms, PALNI is able to proactively ensure that the consortium can meet multiple priorities in the IR and digital collection management software spaces while doubly contributing to the open source and open access communities in a practical, innovative, and collaborative fashion. PALNI and WRLC have completed the first phase of the Islandora implementation with a summer 2019 completion expected. PALNI will complete the initial Hyku pilot near the end of 2019. The Washington Research Library Consortium (WRLC) is a collaborative partnership providing proactive, responsive, innovative, and cost-effective access to shared information resources, services, and expertise. Through strategic priorities such as the creation of coordinated collections and a robust infrastructure for discovery and access, the WRLC is contributing to the success of learning and scholarship. The combined collections of the Washington Research Library Consortium total more than 17 million items. For more information, visit the WRLC website at http://www.wrlc.org. PALNI is a non-profit organization supporting collaboration for library and information services to the libraries of its twenty-four supported institutions. The library deans and directors who sit on the PALNI board have expanded the organization’s strategic direction as the internet and information services landscape have changed. PALNI shares systems and expertise in many areas including a resource management system, strategic planning, affordable education, instructional technology, collections, reference, information fluency, outreach, and data management. PALNI has become a supporting organization of the Shared BigData Gateway project which will give students, faculty, and researchers greater access to new research data. This project provide research data behind and impacting research data – often called the “science of science.” New information will emerge about the complex connections between research texts and underlying external forces that affect the production of knowledge as well as enhance the ability to share data. All higher education institutions will benefit from the results and PALNI is proud to provide support to the project through representing liberal arts colleges. PALNI with gather needs and provide input on sustainable business models. The project is led by Indiana University with support from eight other “big ten” universities, an IMLS grant, and two private companies, and fellow library consortia GWLA. For a small group of librarians, summer means packing a duffel bag and heading to the great outdoors to enjoy mother nature and build lasting relationships. On July 19th and 20th, 2018, 20 librarians gathered together for Camp RIO 2018–a two day camp adventure. 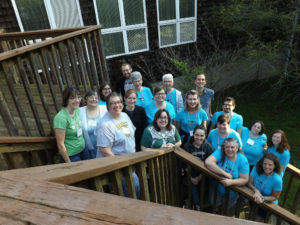 Camp RIO is a professional development opportunity for Reference, Instruction, and Outreach librarians involved in the Private Academic Library Network of Indiana (PALNI). Camp RIO is similar to a conference, with focused sessions and content, but yet different, held in a relaxed rural location, with time to reflect in nature and connect with colleagues. Camp RIO 2018 was held at Waycross Conference Center, located on 400 acres south of Indianapolis, Indiana. 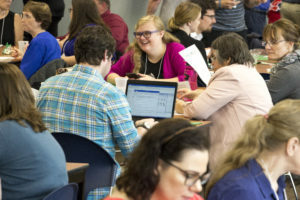 The theme was “Intentional Teaching,“ and each session walked attendees through teaching strategies for librarians, usable both for one class session or during an entire semester. Susan Adams, Associate Professor for Middle/Secondary Education at Butler University was the guest speaker for the event, offering attendees practical and helpful advice for becoming intentional teachers. Along with Susan, the RIO Coordinators and Steering Committee led the workshop sessions. Other PALNI librarians offered a wide range of camping activities, such as crafts, hiking, and a book club discussion. At a fraction of the cost of traditional conferences, Camp RIO combines the best of professional development with the fun and relaxation of camp. Keynote Barbara Fister opening the conference. The Private Academic Library Network of Indiana Inc. (PALNI) recognized library and consortia staff by presenting twenty-eight awards on June 12th, 2018 at their annual all-staff conference. PALNI, a non-profit organization supporting the libraries of its twenty-four supported institutions, inspires innovation, fosters learning, and reduces costs for all PALNI institutions. 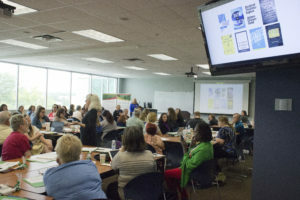 The event provided opportunity for the supported institutions’ library and instructional technology staff to collaborate and share in person, learn from keynote Barbara Fister, and celebrate the success experienced over the past year. The “Hall of Fame” award was bestowed to library staff who’ve volunteered long-standing service and invested above and beyond in PALNI initiatives. The “Outstandin g Service 2018” was awarded to those who were active facilitators in driving action items and advancing projects during the annual year. Outstanding Service 2018 awards were also given to recognition of those who supported the WMS Implementation of Bethel College and Saint Mary’s College who have recently joined PALNI. The “Outstanding Achievement Award for Leadership in Deep Collaboration” was given to select library senior leaders who have led the way in working together more deliberately and effectively. The “Heart of PALNI Award” was given to staff who embody PALNI’s deep collaboration, and supportive culture. Lauren Magnuson accepting “Heart of PALNI” award at the 2018 All-Staff Conference.